The Ashgate Ancient Philosophy Series presents an exciting cluster of high profile titles spanning critical areas of contemporary international research and study. The unique structure of the series takes account both of key periods and of key themes. 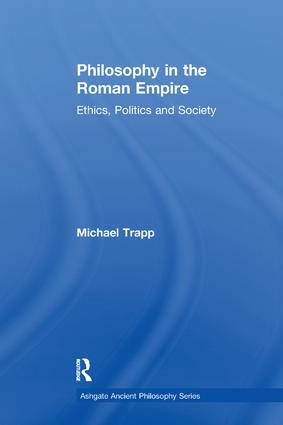 The periods covered in the series are: Pre-Socratics, Socrates and the Minor Socratics; Plato; Aristotle; The Hellenistic world; and Philosophy in the Roman Empire. The key themes covered in the series are: Physics and Metaphysics; Soul, Mind and Theory of Knowledge; Language & Logic; Ethics; Politics & Society. Publishing individual books within this unique structure, this series provides a platform for exciting new work which aims to integrate approaches from both philosophical and classical perspectives, giving a specific focus on theme and period while setting the analysis within the wider contexts both of the period and of the theme. This series will prove of particular value individual academics, postgraduates, graduates, and upper-level students and other scholarly readers world-wide.